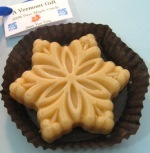 Our pure maple sugar candy is made from pure Vermont maple syrup. 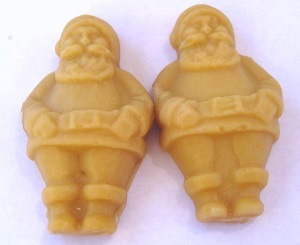 Each pair of Santa-shaped candies is individually boxed. Gift-wrap the box yourself and you've got a wonderful Christmas gift for everyone on your Christmas list from your doorman to your postman. 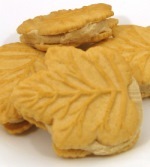 The candy will melt-in-your-mouth, releasing that delicious maple flavor that's second to none. 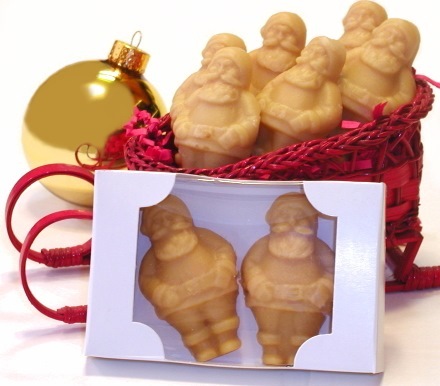 Kids also enjoy finding this candy in their Christmas stockings. REFRIGERATE upon arrival to keep the candy nice and cool. 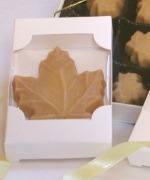 Made to order, please allow extra time for delivery during the off-season. 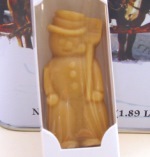 All Christmas orders will arrive in time for Christmas. Click on the image for larger view of candy and gift box.